In a past life, I occasionally described certain games as being the “right kind of stupid.” Assault Spy most definitely falls into that category. I’ll admit that I didn’t dig this one when I started playing the Early Access version a few months ago, but something clicked after the 1.0 release. Assault Spy suffers from bland level design, an awful camera, and poorly documented special moves. However, its goofy humor and fast, hard-hitting action kept my interest. 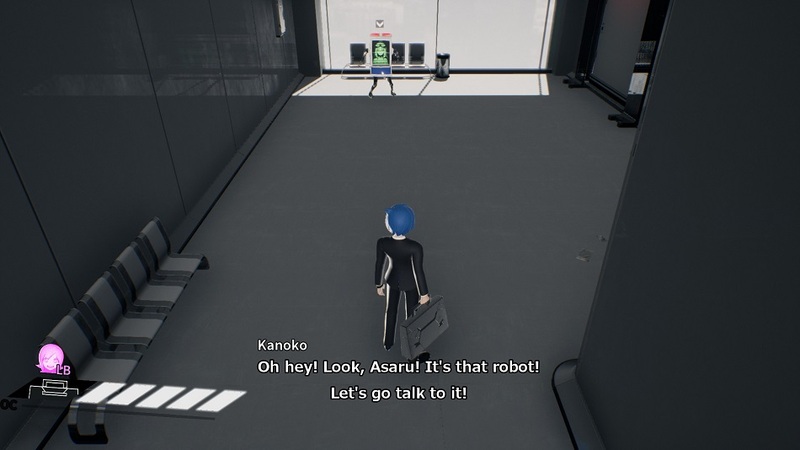 The story of “corporate spy” Asaru and CIA Agent Amelia makes almost no sense, but the narrative mainly serves and an excuse for either of these playable characters to punch a ridiculous number of robots until they explode. Essentially, there’s a lot of humorous dialogue, ineffectual spying techniques, prolific profanity, and the occasional joke about breasts. Mileage will definitely vary, but I found myself chuckling fairly regularly, and often shaking my head in either wonder (or befuddlement). I liked the way the two protagonists’ stories intertwined, and I enjoyed the fact that the two separate storylines weren’t simply rehashes of one another, even if the locations and enemies were almost exactly the same. Amelia’s stronger, more direct attacks and invulnerability powers make her the better choice for beginning players, but there’s no way to know that going in. I struggled with Asaru’s timing-based combat, hough I appreciate having two such distinctly different playstyles. 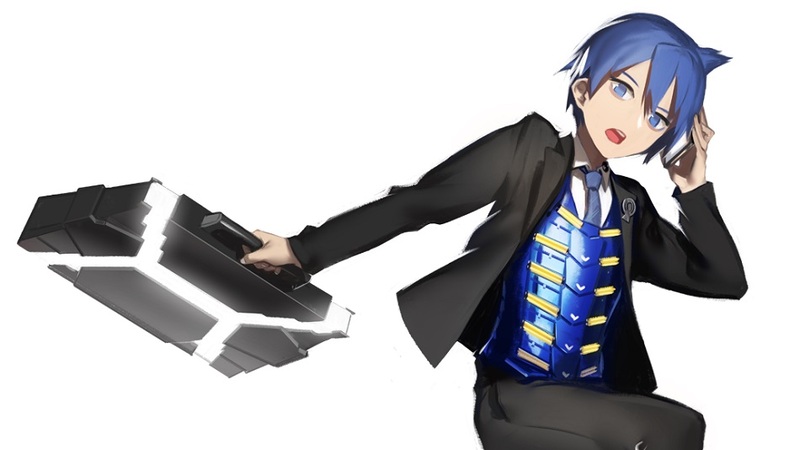 I was especially taken with just how hapless all of the protagonists seemed to be — while effective at briefcase and umbrella-based combat, Asaru is a terrible spy, and his handler Kanoko causes havoc during missions for the lulz. Meanwhile, Asaru’s CIA counterpart Amelia is a gung-ho sociopath who thinks violence is the solution to every situation. Both main characters barrel their way through the halls of the Negabot corporation, destroying everything they come in contact with while trying to determine the reason for the sudden android uprising that threatens the company. 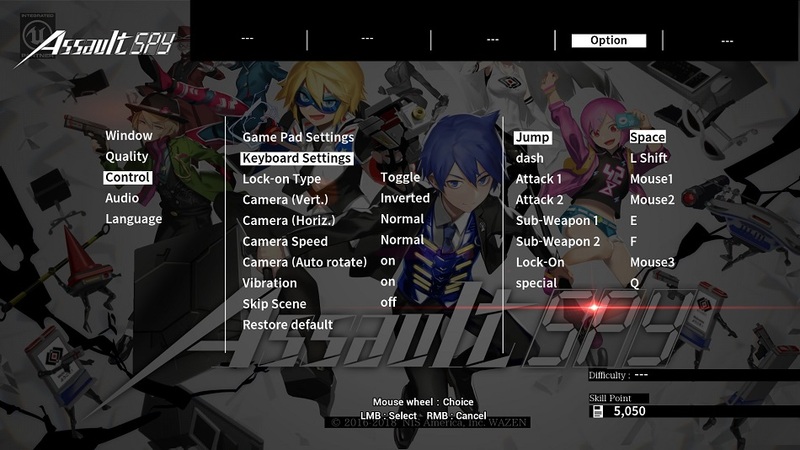 Technically, Assault Spy is played from a third-person perspective and features fast character-based action in the same vein as something like Devil May Cry or Metal Gear Rising: Revengeance — simple button-press inputs are strung into devastating combos capable of decimating enemies. 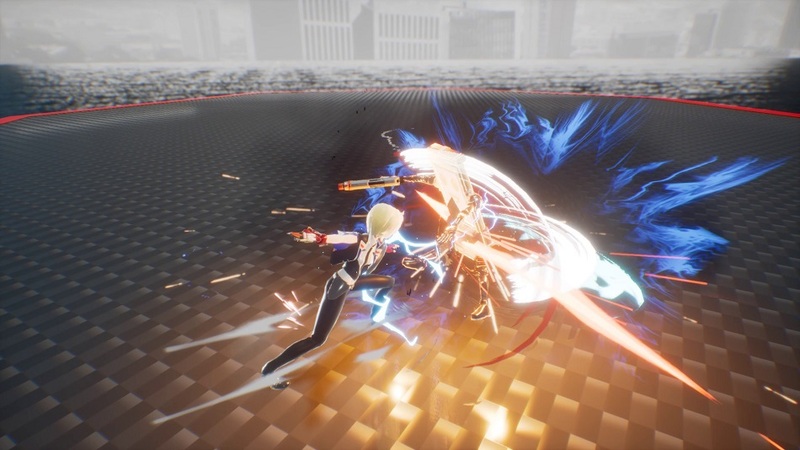 The combat is hard-hitting with moves that look and sound powerful, and beating up robots never gets old. Unfortunately, the camera is pulled back just far enough away from the action to make it difficult to properly get a bead on the next enemy, making it sometimes feel more about fighting the controls than the enemies. This also makes the occasional platofrming challenge harder than it needs to be. While the combos are easy to input, the explanation of their execution can be poor with instructions like the word “Just” and a button prompt. (It means the button needs to be pressed “just” as the character flashes onscreen.) The timing needs to be fairly precise, and the flash can be missed with multicolored enemies swirling around. Flying enemies make things even harder, as there are few air-based attacks and jumping is a bit floaty. Boss battles attempt to add some strategy into the mix, but wind up as extended sessions of closing in on an enemy hell-bent on keeping its distance while it spams area attacks. Fortunately, both Asaru and Amelia can queue up specials that nullify a boss’ advantages — Asaru can slow time in short bursts, and Amelia becomes invulnerable and deals double damage. These special attacks take a long time to recharge, but are invaluable. The gameplay loop is extremely simple — walk around, fight a bunch of baddies, rescue an employee or two, move down the hall, purchase move and weapon upgrades from kiosks, rinse, and repeat. There’s also an extended stealth section about three-quarters of the way through each story which seems out of place, even accounting for the fact that this project is titled Assault Spy. They’re not tremendously difficult, though they do overstay their welcome. Disclosures: This game is developed by Wazen and published by NIS America, Inc. It is currently available on PC via Steam. This copy of the game was obtained via publisher and reviewed on the PC. Approximately 8 hours of play were devoted to the single-player mode, and the game was completed. There are no multiplayer modes. Parents: This game is awaiting a rating from the ESRB, but it says that the game May contain content inappropriate for children. 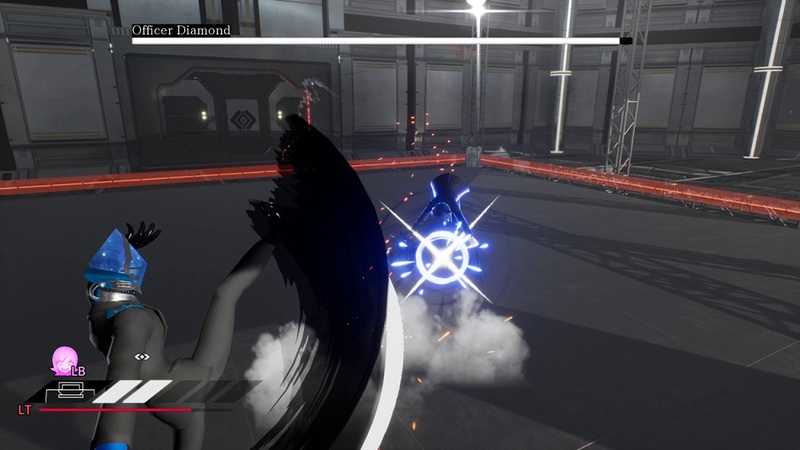 The game features animated violence against human and robotic enemies. There is brief sexual innuendo and comments of a sexual nature. There is frequent use of profanity, including s*it, and b*stard (f*ck is implied and abbreviated). Deaf & Hard of Hearing Gamers: Most audio cues have a corresponding visual component, although if the player character is not facing an enemy, they will not be detected, making combat more difficult. All dialogue is subtitled, including during combat, although the white subtitles are difficult to read against a grey screen during a battle. Subtitles cannot be resized, nor are there font color choices.